There aren’t many Wall Street legends who command respect like Joel Greenblatt. After starting his money management firm, Gotham Capital in 1985, he and his business partner, Rob Goldstein, spent the next decade delivering returns that took Wall Street by storm. Yet the nature of Greenblatt’s strategy meant long periods of super-high returns would be interrupted by spells of underperformance. For him, these periodic drawdowns were simply a mathematical consequence of running concentrated value portfolios. It was a philosophy inspired by his original investing hero, Ben Graham. While Greenblatt was content to ride these waves with his own money, it was harder to do the same for others. So, in 1994, he wrapped up the first chapter of his investment career by returning Gotham’s outside capital. In the years since, he and Goldstein have continued to pursue their strategy of buying good, cheap stocks and selling expensive junk. They’ve also built a suite of new long and long/short funds that are less volatile and once again opened the doors to external capital. 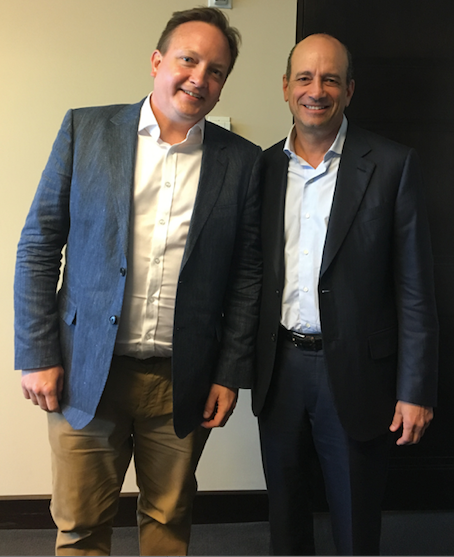 While Greenblatt’s investing skills have earned him superstar status, he has also spent his career sharing his expertise with individual investors everywhere. 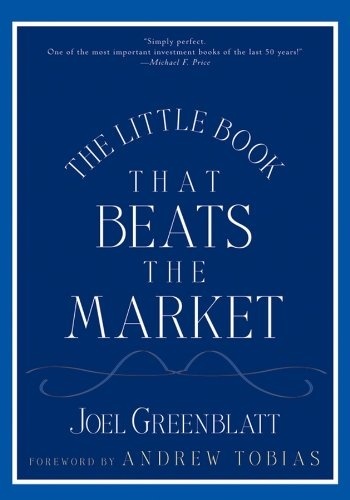 In a series of books -- including the hugely popular ‘Little Book That Beats the Market’ -- he outlined an incredibly accessible and intuitive investment strategy based on his favoured principle of focusing on ‘good’ and ‘cheap’ stocks. He called it the Magic Formula, and it is arguably responsible for educating a generation of investors about how a blend of value and quality can be used to construct portfolios that outperform on average. As a college student, you were much more influenced by the work of Ben Graham than you were by the academic concepts around efficient markets. How did the way you think about investing begin to take shape at that time? That's a good question. I would say it really took shape after my junior year, when I read an article in Forbes about Ben Graham’s stock-picking formulas. His view was that stocks are either too high or too low at various times, and that markets are somewhat emotional about it. That concept resonated with me immediately. If you looked in the newspaper at that time, there were 52-week high and low lists for pretty much every company. In each case, the high was double or triple the low, but it never made sense to me how that would be accurate and efficient at every point. In general, I think academic study is about solving the hardest math problem, rather than discovering the most useful thought process to have. I had that epiphany when reading Ben Graham for the first time, and haven’t wavered in my opinion since then. I started reading everything that Graham had written, which led me to Warren Buffett. At the same time, everything I was learning in school really made very little sense when I boiled it down, after I got done with the math. I almost immediately realized that, to me, the teachings of Graham and Buffett made sense, while everything I was learning in school made no sense. It sounds like you made the decision early on that you were intent to start managing other people’s money as quickly as you could. What were the pivotal moments in those early days? I always knew that I was going to work for myself. I saw what the working world was like and I didn't want to get paid by the hour, I wanted to get paid for my good ideas. When I was in business school at Wharton, I ended up writing a paper with two of my good friends: Rich Pzena, who is a large value manager and whose board I sit on, and Bruce Newberg. We conducted a study together that actually updated Ben Graham's stock-picking methodology. It was published in The Journal of Portfolio Management and it was our Master's thesis. All this said, I was smitten with money management right away – I knew it was right for me and knew what I wanted to do after first reading Graham. While you were quick to move into money management, you returned to teach investing classes at Columbia University in New York City. Why has that been so important to you? From early on, I always wanted to write and teach. That said, I never expected a career in academia, I just thought it would be a fun avocation. Then, after I returned our outside money at the end of 1994, I began co-teaching a class at Columbia. One of the things that appealed to me about that class in particular, was that it was called ‘Security Analysis,’ which is the class that Ben Graham taught when he was at Columbia, and the one that Warren Buffett took. Little did I know I would end up continuing to teach that class for five years. I went on to teach a 'Value and Special Situation Investing' course, which was part of a Value Investing program Columbia launched under Bruce Greenwald. I’ve been teaching ever since. When you closed your original fund to investors in 1994, it marked the end of what was really the first chapter in your investing career. What led to that moment and what happened next? When I got into this business, I was wired as a gambler and my partner, Rob Goldstein, who joined me in 1989, was wired the same. What is good about our partnership is that we are both cynical about businesses. We never did anything that one of us didn't like, and all of our investment decisions were mutual. That was a nice check and a nice discipline to have. The other discipline we had was managing outside capital. In some sense there's a value to managing other people's money because there is more of a discipline involved. I think it’s good to run scared, and other people’s money helps you do that because you don’t want to lose it. All in all, during those 10 years, we had success and I really enjoyed it. Before fees, we earned 50% a year returns (30% net of fees). We knew it wasn’t going to get much better than that. We thought we'd done well, and well is good enough. Nevertheless, there were always periods every two or three years where there would be big downward draughts on the portfolio. One of Howard Marks’ best quotes is: “Experience is what you got when you didn't get what you wanted.” That was the attitude I had when I lost my own money. The draughts never bothered me, but they did bother me when I was managing other people's money. The investors weren’t happy when I returned the money, but it just seemed like the right thing to do and I was very happy I did it. An important feature of all this is that while you were hugely successful in your investing, you were also writing books about it, predominantly for individual investors. What led you to do that? I had written the book 'You Can Be a Stock Market Genius' in 1997, which was really just a series of war stories from our first decade running money. In that book, I looked at the lessons we had learned and what we’d been thinking about at the time. I had also just begun teaching when that book came out. I’d written it in a friendly style, but I had made some assumptions about what people knew about the market and investing. As soon as I walked into my first day at Columbia, I realised that I had really written it at an MBA level and that it wasn’t fully accessible to readers. Hedge fund managers thanked me for it, but that wasn’t my goal. Like Ben Graham, my goal had been to share what I knew for a broad audience. Unfortunately, I assumed that everyone already knew about the things I was discussing in the book. Looking back, what led me to writing my books began with the research and testing that I’d done with my friends in college, which boiled down to figuring out what a stock was worth, buying it for a lot less and leaving a large margin of safety. It was what Ben Graham had done. Warren Buffett added a little twist that made him one of the richest people in the world. He said if he can buy a good business cheap, that’s even better. My friends and I had evolved much more towards buying good businesses cheaply. So, in the same way that we had tested and updated Ben Graham’s work in college, in the early 2000s Rob and I started doing some more computer testing. We wanted to find a more sophisticated way of doing what I had been teaching my students and what Rob and I had been doing to make money over the years. The very first thing that we tested -- a crude metric for “cheap” and a crude metric for “good” -- came out well. It was that very first test that I wrote about in ‘The Little Book That Beats the Market;’ I thought it was a great proof point that buying cheap, good businesses made sense over time. To be clear, it still wasn’t an easy ride, which I view as good, because if the formula worked every day and every month and every year, everyone would use it. But over time, the principles made sense. All in all, if you stuck to the formula over a period of time, you could do well. When we did those first tests, I said: “Wow.” I finally felt I could explain my formula for stock picking very simply to people, and more importantly, that people would understand it. I was excited to write ‘The Little Book,’ and so, it just came out of me. I combined my years of teaching at Columbia and learning with the test, which demonstrated the basic principles worked, to write the book and share it. While it probably took only a year to write, it really took 20 years of thinking. Apart from exploring the power of blending value and quality, what do you think the most important ideas in ‘The Little Book’ really are? The great thing about the Magic Formula is that when you look over a large number of years, you can see that it worked quite well, yet also examine the pain that happened in that great period of performance. 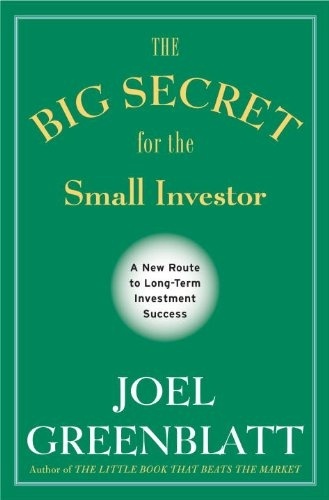 I wrote another book, called ‘The Big Secret for the Small Investor’, and I'm always saying it's still a big secret because nobody bought it. In that book, I utilized a study of the best money managers for the decade 2000-2010 to examine who had the best ten-year record. Forty-seven percent -- so about half -- of those that ended the period with the best ten-year record, spent at least three of those 10 years in the bottom 10 percent of performance. The idea of the book was to explain simple principles that would carry one through the tough periods of time – the times when one may consider pulling their money rather than sticking it out and riding the losses in hopes of future gains. In the stock market, however, there are daily quotes and you're getting bombarded by constant news, which can be seen as challenging, but illustrate that the market is possible to beat. You can take the view that other people don't have a time horizon, they don't have a home base and they don't have a true north. If you have a true north, though, and you can actually value businesses, or in the case of ‘The Little Book’, you know that on average you’re owning good, cheap businesses, that might help you push through. I wanted to share that idea with others. The Magic Formula was really ahead of its time as a factor model that individual investors could understand and use when you first introduced it. Tell me about your personal approach to applying value and quality in the stock market? The results in ‘The Little Book’ are based on what I call the ‘not trying very hard’ method. We took crude metrics, a crude database and used crude methods to put those measurements together -- and it worked incredibly well. My partner Rob and I turned to each other and said, ‘You know what, we actually know how to value businesses. As opposed to the ‘not trying very hard’ method, we know how to try, so what if we did that?’ At the get go, there was no plan to take outside money, we were just going to develop something for ourselves, so the building of our business was really an evolution. I’d say there’s less than one percent of people who are pretty good at valuing businesses and who are seeking to invest. That’s the truth. How we think about valuing businesses is that the value in businesses is the discounted value of future earnings. If you think of a discounted cash flow formula, and you move your discount rate one or two percent, and you move your growth rate one or two percent, you can double or half the value of a business. Really what we're doing is looking for normalised earnings and whether the growth rate in a business is going to improve. What I always ask myself is, can you beat the risk-free rate? There's no point in investing if you can't beat the risk-free rate. And I use a high one. I think rates are below normal, so in my mind I use a 6 percent risk-free rate. I actually wrote that in the book and I still use it. If I buy an equity, I have to believe it will beat a 6 percent risk-free rate. That doesn't mean that you can't buy something with an earnings yield of 5 percent, it just means that you better believe it’s growing over time in order to beat that 6 percent constant threshold. So, gauntlet number one is that anything I buy should be expected to beat the risk-free rate. Once you get past that, what you're really doing is comparing companies against each other. What are the cheapest companies you can buy? You can compare two companies to say, does this one perform better than that one on these scores? At Gotham, we’ve assembled a team of 13 researchers who have developed a sophisticated way of balancing risk that hopefully allows us to get to the long-term value with the least amount of pain. At the end of the day, it's really about putting together cheap and good portfolios. We manage both long-only and long/short portfolios. With the long/short, we use leverage, so we have to balance our risk. As a value investor, you can say: “Ah I'm down 30 percent, that's fine.” But if you use leverage and you go long/short, that's not fine! Instead, you must have a sophisticated way to balance the risk in your portfolios. At Gotham, we have a seven-person tech team that supports that effort. Importantly, this team doesn’t know anything about investing, and we did that on purpose. We believe that makes them even more qualified to help us look at the kind of risk to take in our long/short portfolio, and figuring out good metrics. All in all, they’re crucial to helping us decide how much risk to take in a strategy based on how much leverage we have, how much exposure to the market we have, and whether our exposure is in large-cap equities or all-cap equities. It’s a fun project. The answer is that there's nothing wrong with what Rob and I did together for close to 20 years, and what I did for 28 years. There are just different ways to make money. The main difference for our investors is that on our “bad days,” we’re not losing 20-30 percent of our net worth. Instead, we may be underperforming by 20 or 30 basis points. While there is a clear difference between our past strategy and current strategy, I do not believe one is better than the other. Rather, one strategy is more appropriate for outside investors and the other is more appropriate for either managers themselves or for very sophisticated investors with a very long time frame, which in this investment world is very rare. Given the discipline needed to execute a value strategy, and the need to take a long-term view, do you still think it’s a viable route for individual investors? It’s certainly been a fascinating ride for me to learn how to take the principles I had used in concentrated portfolios and apply them on a more general basis. But that said, I think there’s a place for both strategies I’ve deployed. I still give some of my money to people who do what I used to do, and I teach my kids those same methods. One's not good, one's not bad, one's not better or worse. They are different ways of applying value principles for different types of risk profile. If you have an ability to pick stocks, or understand what you're doing, which most people don't, there is an opportunity for long-term value investors. People are very emotional and that's never going to change. I always promise my students on the first day of class, that if they do good valuation work on a business, the market will agree with them, I just never tell them when. It could be a couple of weeks, it could be two or three years or sometimes longer. That's really the way to think about it. If you have a home base, you can be very selective and pick only the companies you understand and are able to value, you just might have to do a lot of work to find a few names that are undervalued significantly enough to make you want to take that position. You have to be patient, but if you find one good idea every two or three months, you'll have a full portfolio after a little while. So you think it’s important for investors to be really conscious of the extent of their capabilities, both in stock selection and their capacity to ride the rollercoaster of returns? You know, Warren Buffett talks very appropriately about a circle of competence. You can learn over time what you're good at valuing and what you're not as good at valuing. I always say to my students: “What do you do if it's hard to figure out what the competition will be, whether the new products will work out or what the earnings will be in a few years? How do you approach that?" I always following up by saying: "Skip that one, and find one you can figure out." Buffett calls it 'one-foot hurdles,' and that's what I'm always looking for: easy ones. I opened ‘You Can Be a Stock Market Genius’ with a story about my in-laws, who used to live in Connecticut and on the weekends would shop at antique sales and country auctions. If they found a painting, they didn’t say: "Hey, is this guy going to be the next Picasso?" They wouldn’t ask that because that's a really hard question to answer. What they asked is: “Hey, did a similar painting by the same artist just go up for auction at three times this price at Sotheby's, and can I now get it for one third?” That's a much easier task, and that's sort of the way I look at investing. Look for the easy ones. Joel, thank you very much for your time. If you'd like to find out more about Stockopedia and the strategies used by investors like Joel Greenblatt, you can visit our community here, and explore our strategy screens here. What a legend! Nice interview. I think "You can be a stock market genius" is probably my favourite investment book, and I found it super useful. Would recommend strongly. Thanks for sharing this interview Ben! Alongside O'Shaughnessy, Greenblatt is one of the greats! Most of his approach is similar to Factor Investing and this makes the strategy accessible to the small retail investor. Joel seems a great guy without any edge, and a real empathy with the small investor. Really interesting, I've not read any of Joel's books yet, that's about to change.... Thx Ben keep them coming! 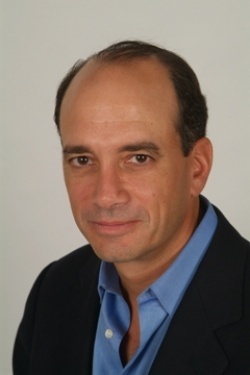 In this interview Joel Greenblatt indicates that, for his own money, he prefers to invest with a very long timeframe. It appears to me (based on what I read on the boards including Stockopedia) that relatively few private investors adopt this philisophy despite the fact that it appears to be a cornerstone strategy of some, if not many of the world's most successful investors. On the one hand I find this short termism amongst private investors puzzling but on the other hand I understand that you need to use whatever strategy you feel comfortable with and perhaps it works for some people. "I’d say there’s less than one percent of people who are pretty good at valuing businesses and who are seeking to invest. That’s the truth. How we think about valuing businesses is that the value in businesses is the discounted value of future earnings. If you think of a discounted cash flow formula, and you move your discount rate one or two percent, and you move your growth rate one or two percent, you can double or half the value of a business." "I gave a talk at Google a little over a year ago where I mentioned that even Warren Buffett said most people should just index, and I said I agree with him. But then I said, “Hey, Warren Buffett doesn't index and neither do I -- how come! ?” If you have an ability to pick stocks, or understand what you're doing, which most people don't, there is an opportunity for long-term value investors." So essentially if you put these two things together Joel is saying the bulk of us shouldn't invest directly in stocks ourselves. Unless I have misinterpreted that? Or he is saying use a formulaic Magic Formula type approach. But if you are using a formulaic type approach why not invest in a quant fund? I think he is saying that the average investor shouldn't try and pick individual stocks themselves. I remember he said the same thing in the magic formula book. I.e. unless you are an expert individual investors have no place picking stocks themselves. I guess using Stockopedia is kind of like using the Magic Formula due to the ranking system etc. But it is a good question. Can the average investor pick individual stocks well. Greenblatt's view is that they can't. That is probably fair enough. I agree with your final conclusion (and the advise for the great men Buffett and Greenblatt) that the average investor would do better to let others pick the stocks for them or invest in index tracker to a point. 1. Most people who subscribe to Stocko are probably no longer in that majority that they refer to, simply because they are using a system to score stocks against Quality and Value (and momentum). 2. If people just invested in funds or OEICs, how would they ever learn to trade like an expert. For me, the best approach is to do both, with maybe a 9:1, or 8:2 split at first ( with the 10-20% being the self managed element), then managing more as you gain experience and expertise (this could be bench-marked against the "professionally managed" element and migrated across as the performance of the self managed element is shown to match or exceed the other. Mark - Yes I think it isn't and either or thing. You can do both. Have some some funds and if you find a really good stock maybe invest a bit in it. Having all your money in individual stocks is hard work. The hard part is to only invest in say one or two really great opportunities every year. Activity is the enemy of performance. I guess in "The Little Book" Joel said that we can do well if we follow a formulaic system like the Magic Formula. I also think that if you only invest in the absolutely highest quality stocks you may be able to do well. Possibly one approach is to have a FTSE 250 tracker or own some low cost active funds. Then if you find something very interesting maybe put a small amount of money in it. But making money in individual stocks is hard. That is essentially what Joel is saying I guess. I read the little book a while ago, when I started to get serious about investing, rather than just having a punt (as I tended to in my younger days). Still do occasionally, come to think about it :-) but with a much smaller proportion of my capital. I guess, previously, I was the typical punter that Warren and Joel were referring to. If I remember rightly, in his little book Joel advocated buying a range of share with 2 key metrics (low PE and high ROCE). His view (in this book at least) was that companies with low multiples (low price compared to earnings) and good internal use and investment of funds (Return on Capital Employed), would on average do considerably better than the market average. But that its hard to tell which will succeed on a case by case basis, so its better to but a range and accept the mean return. This is not a million miles from the NAPS approach in concept. This could also be a half way house between Index trackers/ funds and individual shares for a low maintenance/lower risk approach. Excellent interview Ben thanks and, as ever, it has generated some thought provoking further comments. There are two strands that I think fit together somewhat. I’d say there’s less than one percent of people who are pretty good at valuing businesses and who are seeking to invest. That’s a more radical view than the Buffet quote “most people should just index” ; leaving aside the observation that been good at valuing businesses is not synonymous with being good at investing. The common message though is that only a minority (many even a tiny minority) have what it takes to be truly successful in investing. Yet here we all are, reading this article, which suggests to me that we believe we are or aspire to be in that minority. I hope not, I think there is a lot that can be achieved with patience and learning . I dare to say that the tools available here are a great resource and the level of debate and discussion here are well above average. Personally I certainly feel that I’m constantly learning and improving as an investor, but I will not know if I am a success in the long term until … er the long term! A part of that, I believe, is impatience for stellar returns, which anecdotally at least I believe is a relatively common and unhelpful trait for personal investors. JG’s comments on the long view, to me centre around having done very well for periods and then having “periods every two or three years where there would be big downward draughts on the portfolio.” Which as he says is fine over the long run but can be awkward when managing other peoples money who many not have the same level of confidence or outlook. If a new investor, starts out investing solely in a portfolio individual stocks and has a poor run, they may well conclude that they are no good at this game and give up entirely. The counterpoint to this is a new investor starting out very well, becoming convinced they are a genius and taking too many risks once a downturn does arise. If one is setting out with the intent to invest in a portfolio of individual stocks I do think there is a lot to be said for being for the large part “indexed” (or invested in funds) with only small exposure to individual stocks for some time. Not only does it make the cost of any early “learning experiences” less, it gives time to establish a degree of confidence. • Have I just been lucky until now? • Have I become a bad investor? • Have the markets changes such that my method no longer works? • Does my approach not work in this market phase? Can you / should you have the confidence of Joel Greenblatt and carry on regardless confident of your success in the “longer run”? I am not, I should say, necessarily advocating that one should, perhaps the answer to one (or more) of those questions really is ‘yes’. It is easy therefore to see why a short term view may come to the fore. I do not honestly have a clear answer to that conundrum , but I feel at least in part the answer must be to have a clear investment rationale and a clear understanding of why it “should” work. That may help in making it easier to think longer term. Any other remedies out there? I like your post and agree with your closing para. I don't think there is a clear answer to the conundrum. Buffett, Greenblatt, Minervini all have very differnt techniques, but they all have a technique that they have mastered. But Minervini's view of the long term is a succession of gains (say 30% each for argument) in differnet holdings (with heavy trading) compounded over months and years. The winning way, as you say, seems to be to have a strategy, have methods and rules and stick to them whilst trading/investing. If the strategy is not working, then tweek the methods and rules, but stick to them during the business hours and modify them on reflection/review off-line. If you don't do this you won't know what worked and what didn't.